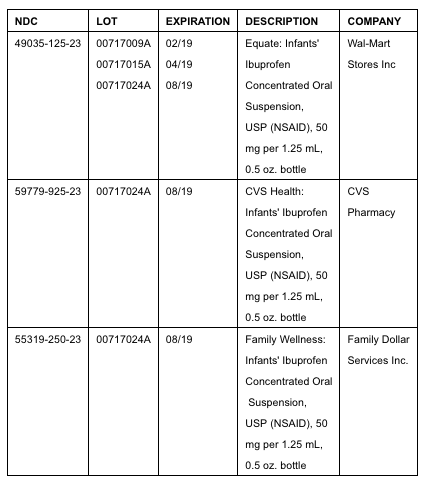 Tris Pharma voluntarily recalled 3 lots of Infant’ Ibuprofen Concentrated Oral Suspension (50mg per 1.25mL) for high concentrations of ibuprofen. 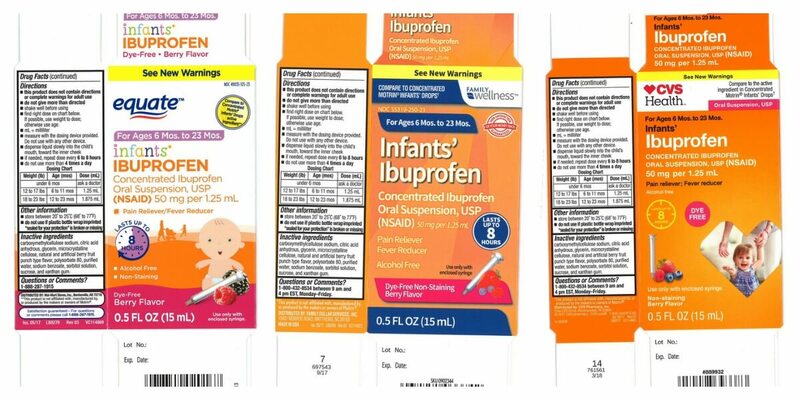 There is a possibility that infants, who are susceptible to a higher potency level of ibuprofen may be more vulnerable to this item. They would experience nausea, vomiting, epigastric pain or more rarely diarrhea. Tinnitus, headache and gastrointestinal bleeding are also possible effects. There have been no reports of side effects of this product yet.